Authorities in Cape Verde arrested 11 Russian sailors after seizing over 9.5 tons of cocaine aboard their ship. The ship was travelling to Morocco from South America and docked at the port of Praia for legal reasons following the death of a crew member. The haul would have a nominal value of at least $850m wholesale. Authorities suspect the shipment was bound for the European market. 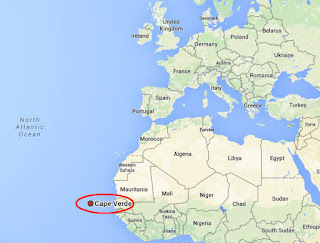 The Cape Verde haul came just a day after 2.5 tonnes of cocaine was seized by the Portuguese navy. 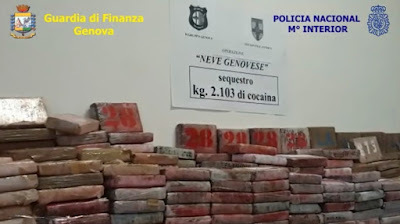 Also this week, 2.7 tonnes was seized in Italy. 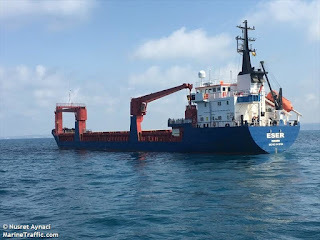 The drugs were seized from the Panamanian-flagged cargo ship ESER. Police first seized 644kg of cocaine worth some $148m hidden in bags of Honduran coffee on Jan. 15 at the port of Livorno. 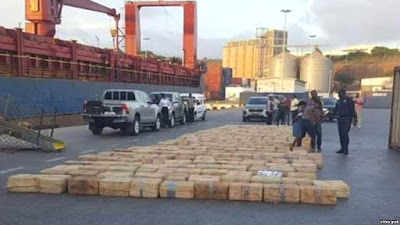 On Jan. 23, Italian police found 2.1 tons of Barcelona bound cocaine dispatched from Colombia's Turbo port. 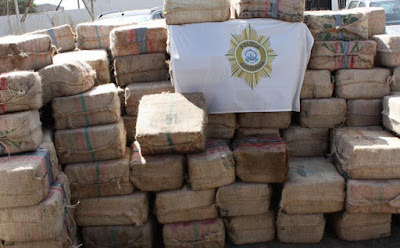 The cocaine, divided into 1,801 blocks, was in a container that had been declared as empty. Using a falsely declared empty container was a new technique, according to Spain's national police. A 59-year-old Spaniard was arrested. It's believed the cocaine originated from the Gulf Cartel. The Gulf Clan accounts for about 70% of Colombia's cocaine production and controls trafficking routes, cocaine processing laboratories and departure points.